Check out episode 1 which was about Zelda, NX and the Wii U! 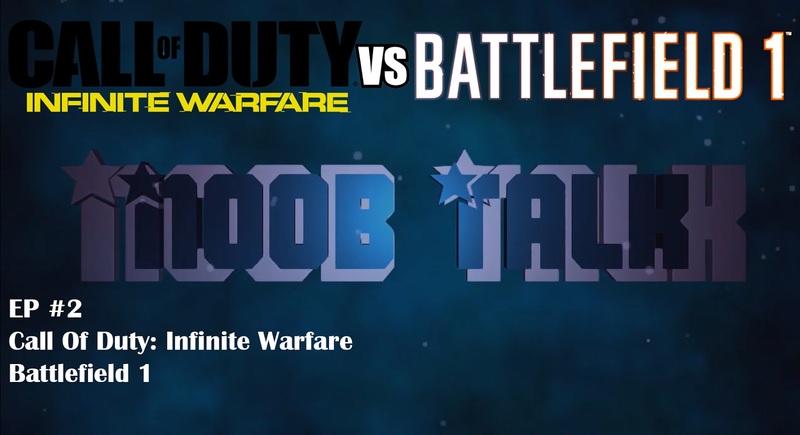 On this week's Noob Talk, Liban and Saf look at the controversy surrounding the reveal of Call Of Duty: Infinite Warfare, along with taking a look at EA's offering this year, Battlefield 1! Why is Infinite Warfare gathering so much hate? Does Battlefield 1 really offer more? Which game will you be picking up? Join in the conversation by subscribing, liking the video and leaving a comment below! Also if there are any more topics you want us to cover or go back to, mention it down below!